The Other White Meat…er, Kinda. After indulging in chicken & ribs, rich key lime pie and other foods we normally try to enjoy sparingly, its time to reset our tastebuds for lighter, healthier fare. So tonight I’m enjoying the other white meat, er protein – eggs! Lay a piece of foil on your baking sheet. Place your salmon on the foil and season with salt & pepper to taste. Sprinkle the minced garlic and fresh/dried dill over the salmon. 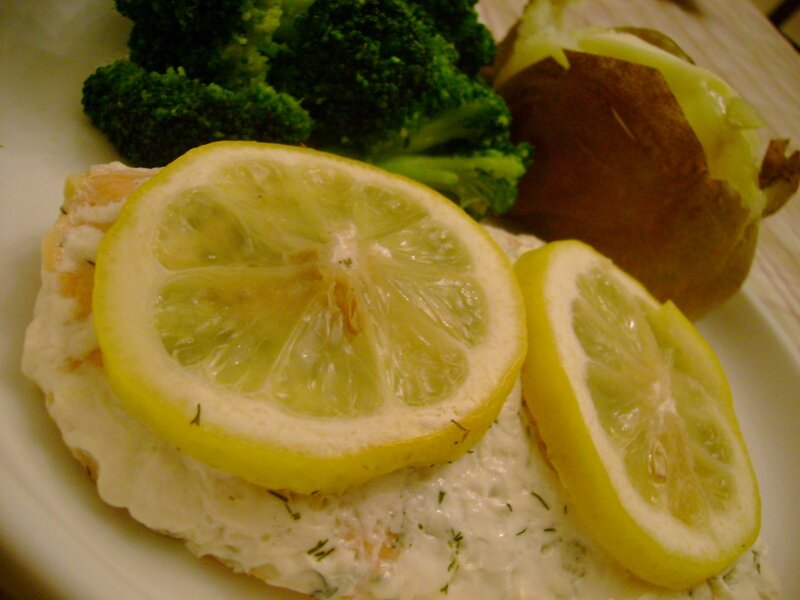 Lay the lemon slices over the salmon. Take up the sides of the foil to form a packet or pouch for the salmon to bake in. 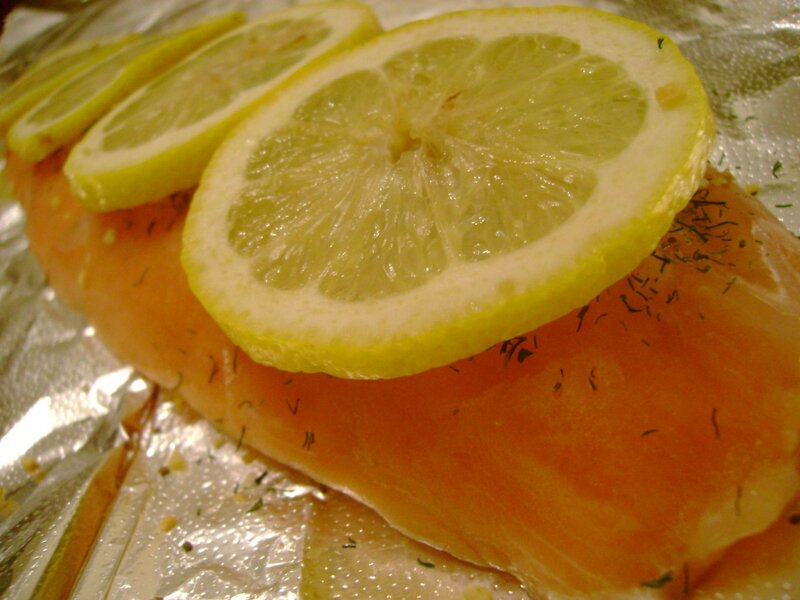 Bake wrapped salmon for 15-20 minutes or until done (depending on thickness). I served the salmon with steamed broccoli florets and a baked potato topped with butter & sour cream on the side.